Texas’ Deb Hart is cooking up a tutorial for her rainbow pixelated cane. 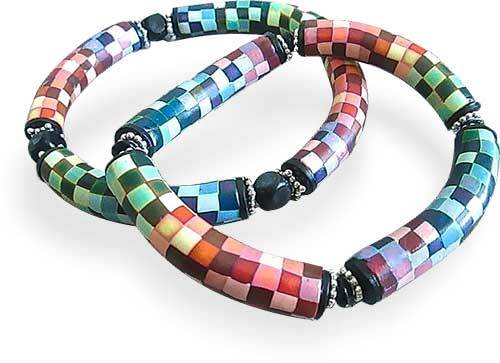 Here she’s turned the cane into bangles of extruded tube beads curved to ride comfortably on the wrist. The edges of the squares in the cane glow and accentuate each color. Look on Facebook and Etsy to see where Deb goes next with her cane tricks.